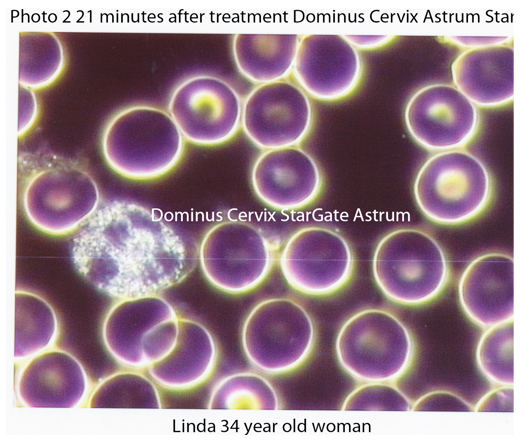 HOW DOES DOMINUS CERVIX WORK? Dominus Cervix Energetica products and the Dominus Cervix Stargate Life Connection radiate a field of light and information that resonates at a very pure, high frequency. allowing everyone that comes into this field an experience of deep inner purification, activation of the light body, and the opportunity to reconnect with their deeper knowing of who they truly are, offering an opportunity for profoundly deep physical, mental, emotional, and spiritual transformation. 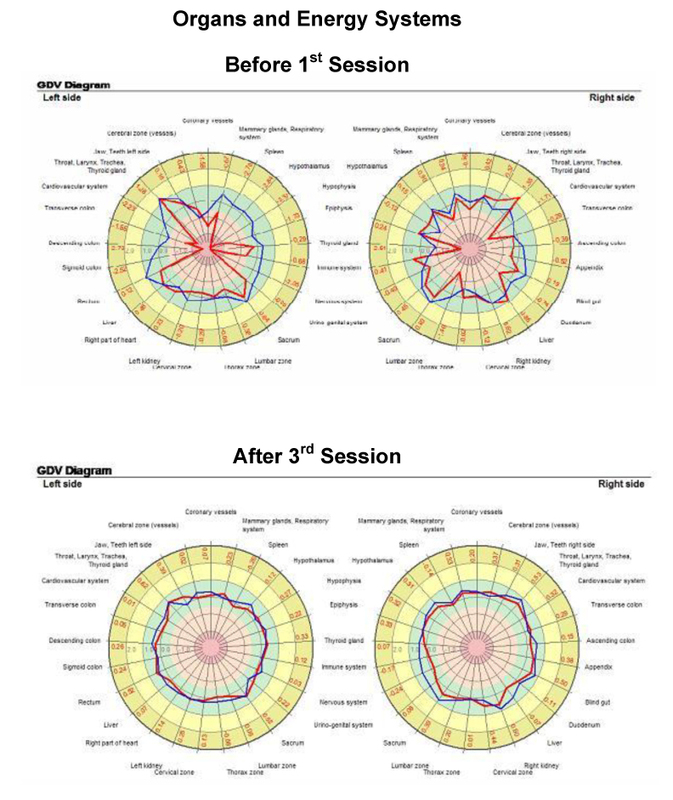 The physical space around us is also affected by the pure, high frequency energy emitted by the Dominus Cervix Energetica products, entraining to the frequency of Dominus Cervix, and resonating at a higher, purer frequency. 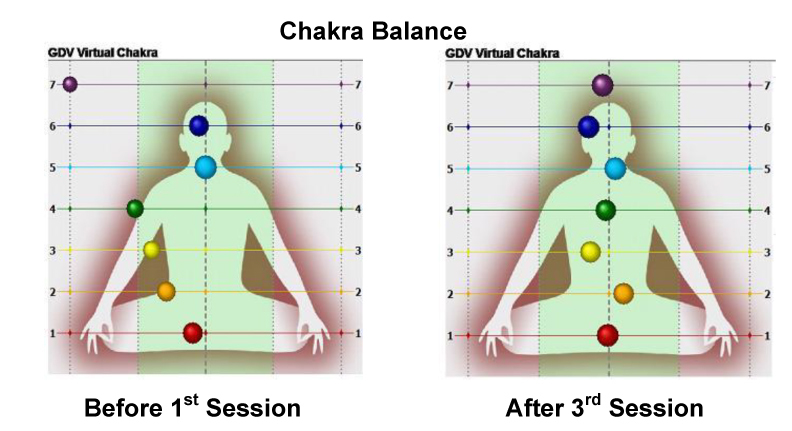 Although the specific cause of action that produces these results within both living beings and the physical environment is yet to be documented, many individuals who experience the Dominus Cervix energy report profound positive physical, mental, emotional and spiritual shifts, often in just one session. 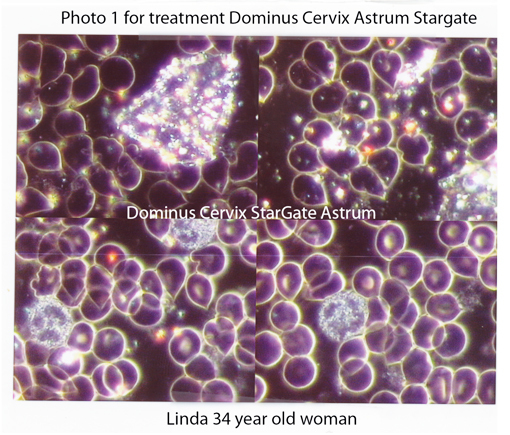 Live blood analysis conducted recently in the Netherlands shows significant evidence of the beneficial effects of the Dominus Cervix Stargate Astrum, as well as profound support to the energetic systems of the body. Experience the positive effects of the Dominus Cervix energy for yourself! The Stargate Astrum brings positive changes to many lives and because of this John Haan, the developer of the Stargate, commissioned naturopathic therapist Marie-Pierre Smits-Vanhove to do a live blood analysis to show what this energy does with our blood cells. The live blood analysis is, as the name suggests, a qualitative analysis of living blood. The blood is assessed on various quality aspects. White and red blood cells and blood platelets are reviewed. In this analysis the white blood cells are not only assessed for their quality but also their activity. An insight can also be gained into the amount of waste matter, the flow and the stability of the blood. All this is possible because as soon as the blood has been taken it is immediately examined under the microscope. Cell membranes of poor quality due to various deficiencies and/or waste matter. The second blood analysis is done 21 minutes after the Stargate Astrum treatment. The positive effects from this on the woman’s health are noticeable: the blood cells have a nice round shape, they are moving about freely from each other, the blood plasma flows freely and the waste matter is no longer visible. It’s notable that the white blood cells are more active. 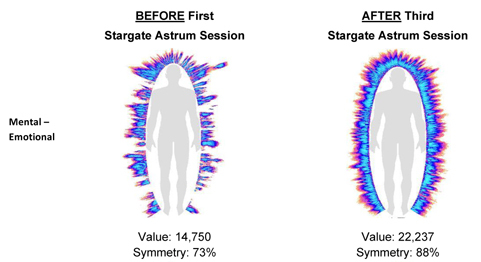 The following measurements were taken before and after 3 consecutive daily sessions in the Stargate Astrum with a Gas-Discharge Visualization instrument developed by Mr. Korotkov, based on Kirilian photographic techniques.